CASE: 40mm, stainless steel with original red and blue rotating bezel and acrylic glass with loupe for date at 3 o’clock. 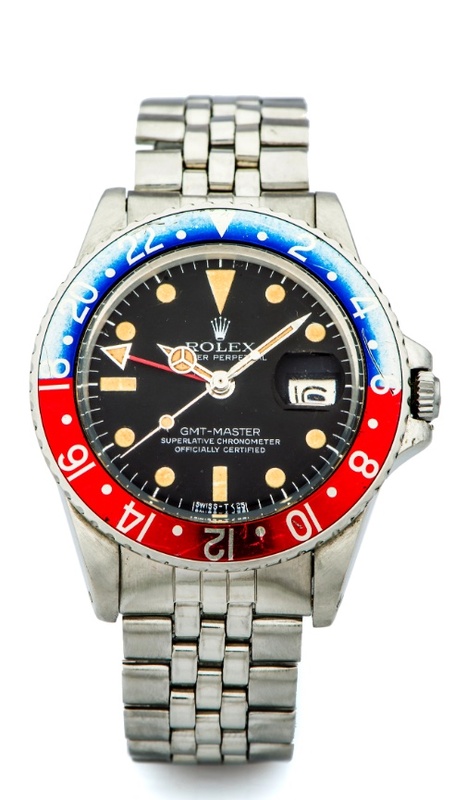 CONDITION REPORT: Good condition, the matte surface of the dial is perfect and indexes have patinated beautifully. The hands match as well. There is a slight mark on the index at 6 o'clock. The bezel insert has faded and is the original one for this watch. The bracelet is worn according to the watch.